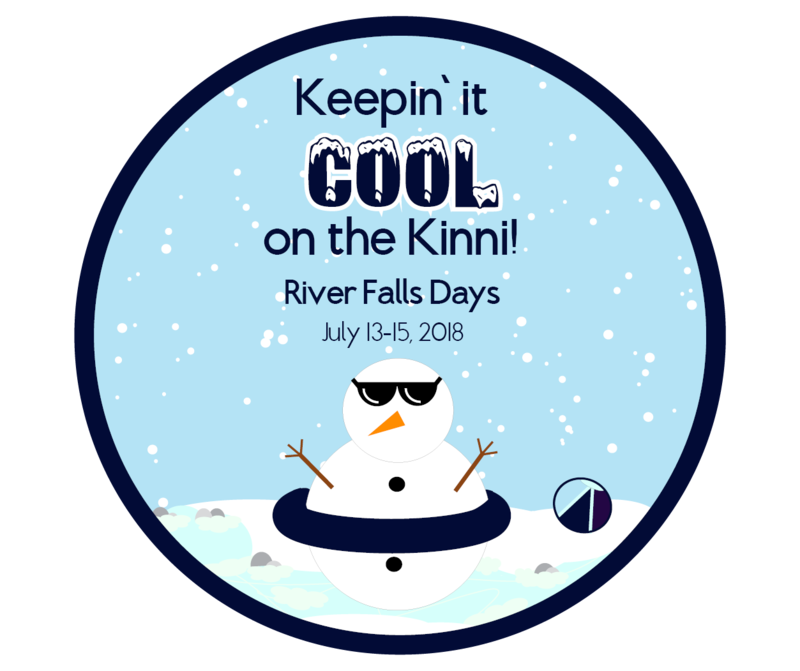 Scrappy will again be on parade this year, dressed in the latest pieces pulled from the Kinni at our March KinniRiverCleanUp. Join us and walk next to Scrappy – you can even pass out bags to parade viewers so their trash can be thrown away instead of landing in the Kinni. Make a difference while having fun! Kids playing “I Spy” and spotting some pretty interesting pieces of trash! 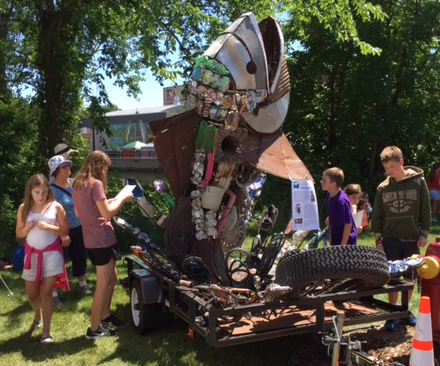 Play “I Spy” and find some of the interesting pieces of garbage removed from the Kinni and its watershed (like a Green Bay Packer glove, Reddi Whip can, etc.). Later, help Scrappy get ready for his next appearance by removing the trash. He’ll then be dressed at Hudson’s RiverFest where he will be “dressed” with trash from their Tuesday, July 17 River Clean-up! Interested in being part of our parade float Friday night? Interested in helping to “undress” Scrappy?